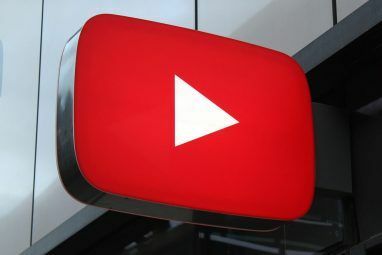 You can learn how to do just about anything on YouTube 10 Interesting Things You Can Learn on YouTube 10 Interesting Things You Can Learn on YouTube We are on a quest to learn something new every day. So ask yourself -- have you learned anything interesting today? If not, turn to YouTube. Read More , from web design Want to Learn Web Design? 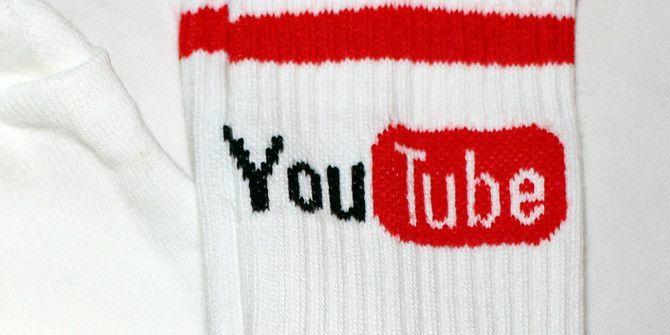 7 YouTube Channels to Get You Started Want to Learn Web Design? 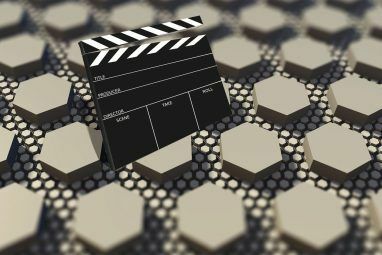 7 YouTube Channels to Get You Started YouTube has thousands of videos and channels for web design beginners. Here we look at some of the best ones for getting started. 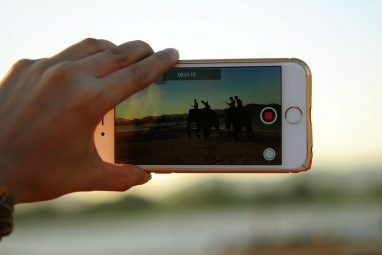 Read More to photography Learning Photography: 5 YouTube Channels to Become a Pro Learning Photography: 5 YouTube Channels to Become a Pro There are hundreds of channels dedicated to photography lessons. The good ones are buried in the noise. We picked five of the best for you. Read More , from electronics Learn Electronics and Arduino Just By Watching These Videos Learn Electronics and Arduino Just By Watching These Videos Learning to program your own electronics is empowering and rewarding, but it can be difficult to get started without guidance. We've rounded up the best videos, YouTube channels and online courses to get going. Read More to drawing comics Top 6 YouTube Channels For Learning How To Draw Comics Top 6 YouTube Channels For Learning How To Draw Comics YouTube is full of such tutorials for anything from a smiley face to complex characters, but many of them are hard to follow or just plain bad. How can you know which channels to focus... Read More . And learning how to craft is certainly no exception. There’s a wide variety of crafting tutorials on YouTube, and some great channels dedicated to paper crafting, jewelry making, general DIY projects, and more. We’ve put together a list of channels which will have you hitting the subscribe button so you can keep up with their tutorials. With a few exceptions, most of these channels use basic materials, many of which you might already have in your home, or that are available at a reasonable price online. When it comes to card making, there is an incredibly vibrant community on YouTube sharing extremely detailed and well put together videos. They use a huge variety of tools and products, and walk you through how to use them. They also often offer ideas for alternative ways you can achieve the same end results using different products. That said, of all the channels listed here, these card-making channels will require a bit of investment in the tools and products that are used. A lot of their cards are made using die-cutting machines, stamps, and a variety of dye and pigment inks, and markers, so be warned, watching these videos might result in the purchase of lots of new tools. These are three of the most popular and talented card makers sharing tutorials on YouTube, with one video to get you started with each of their channels. In addition to a huge backlog of videos to catch up with, Jennifer McGuire also offers great reviews of products making it easier to figure out which crafting products are right for you. Like Jennifer McGuire, Kristina Warren uses stamps and die-cuts to make gorgeous cards, and also provides tutorials on hand lettering and calligraphy. Nichol Spohr Magourik introduces viewers to lots of great coloring techniques, and makes the most out of a lot of cute stamps and die-cuts. Beyond cardmaking, there are a lot of great paper crafters to follow on YouTube. Some of the popular channels will show you how to make in intricate origami, how to scrapbook, or even how to beautifully gift wrap a present. With the exception of scrapbooking, these crafts are much easier to get started with using paper you already have in your home, or with the purchase of some basic supplies. When it comes to scrapbooking, Amy Tangerine is a must-watch. In addition to sharing great inspirations and ideas for scrapbooking, Amy Tangerine’s channel is a great source for water coloring and hand lettering. Shiho Masuda’s YouTube channel is packed with gift wrapping ideas, paper crafts, and seasonal ideas. Jo Nakashima’s channel is packed with origami tutorials that are easy to follow. The tutorials include information on the types of paper he’s using and the dimensions. Best of all, there are diagrams included in the top right-hand corner which will help guide you through the video. Another great paper crafts YouTube channels is Pootles Papercrafts. The videos focus primarily on gift bags and boxes, but also feature other paper crafts and cards. DIY jewelry can be a little intimidating, particularly when you watch some of the videos that require advanced tools like butane torches. That said, there’s a lot of great jewelry you can make without any of those advanced techniques or materials. One of the easiest ways to get started with DIY jewelry is with the affordable material polymer clay. Polymer clay doesn’t require a lot of special tools, and you can make some remarkable looking jewelry at home. One of the best YouTube channels with a comprehensive introduction to tools and techniques is Polymer Clay Tutorial. Another style of DIY jewelry that is easy to get started with at home is macrame – a technique that involves using string (and in this case beads) to make intricate designs. If you follow Macrame School you’ll learn to make a huge variety of bracelets, as well as earrings, and necklaces. These channels offer a wide variety of guides and tutorials – and don’t stick to just one kind of crafting. With over 2 million subscribers, you know ThreadBanger must be doing something right. Not your average DIY channel, ThreadBanger features DIY projects like bacon slime, glow in the dark tree stumps, and button bowls. The types of crafts you’ll find on the Crafts Channel include felting, paper crafts, and polymer clay. You can also learn a little about crocheting and sewing, bringing some of that DIY magic to making your own clothes. Five crafters can be found on the HGTV Handmade channel. Jennifer of Sea Lemon, Karen Kavett, Meg Allan Cole, Marianne Canada of HGTV Crafternoon, and Julia Wycliff of simpleDIYs. In addition to running their own YouTube channels, they contribute to HGTV Handmade where, between the five of them, you’ll find DIY jewelry and home decor projects, paper crafts, stationery, and more. And if you’re interested in something even more robust, be sure to check out our list of five woodworking YouTube channels 5 Woodworking YouTube Channels You Should Subscribe To Today 5 Woodworking YouTube Channels You Should Subscribe To Today Even if you're not a woodworker yourself, watching high-quality woodworking videos is a great way to learn about the craft, and who knows, you might even realize you want to make something yourself. Read More you should subscribe to. What are your favorite YouTube crafting or DIY channels? Let us know in the comments. Explore more about: Crafts, YouTube. Alison Russell's craft channel on youtube 40,000 subscribers and growing fast I show many different crafts on a budget with amazing results. I have a Facebook craft group "Craftytwunts" with over 11,000 members. I also run a free craft selling group craftytwunts2 which I started as a thank you to my subscribers on youtube and my facebook group. The selling group provides a free selling platform for crafters. Which is free to use I take no commission at all. So if there are any crafters out there needing a leg up in the market and a free place to sell come along and join us. she is now up to 91,300 a well-loved channel indeed and only really focused full time on the channel. Fantastic for encouraging people to try new things and her mantra craft out there for everyone no matter your circumstances. You may also list 'Crafting Hours' here, have a look and I'm sure you'd love our channel.